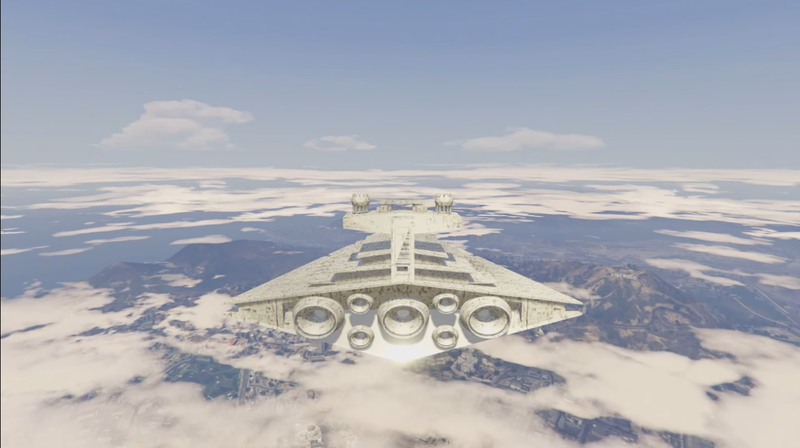 While we wait for Star Wars Battlefront, PC owners of GTA 5 can get their Star Wars kicks another way. A video from GTA mod enthusiast TwoDynamic is currently blowing up on Reddit, thanks to the awesome Star Wars vehicles it examines. The best one is definitely the fully functional Star Destroyer. As TwoDynamic notes, not all the texture work is quite there yet, but it’s the only vehicle of its kind out there. GTA 5 continues to be a rich playground for creative modders and filmmakers. Check out this War Machine mod and this remake of a scene from The Fast and the Furious.